The Jack McGee Kawartha Komets can always use good, clean, used hockey equipment. 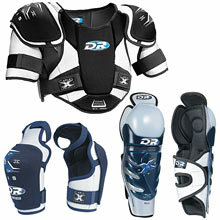 Many of our Special Needs players can't afford equipment so we try to supply as much of their hockey gear as possible. Another generous donor called us the other day in response to our ad on Kijiji. Many thanks to Carol Timmermans for her kindness.